Mira Showers: Why is a dual outlet shower a great choice? What is a dual outlet shower and why might you need one? We’ve asked the UK’s No. 1 showering manufacturer, Mira Showers, to take us through the top 5 benefits a dual outlet shower can bring. It goes without saying that when you’ve visited a luxury hotel or been to the spa, coming home to your own bathroom can feel like a bit of a let-down in comparison. Increasingly, more and more of us are looking to buy a dual outlet shower or, put simply, a shower with two shower heads instead of one. Undoubtedly, dual outlet showers give you a greater shower experience compared to a single outlet shower, however, there are more reasons to make this choice than you would first think. When choosing a dual outlet mixer shower, you will be spoilt for choice with stylish designs. 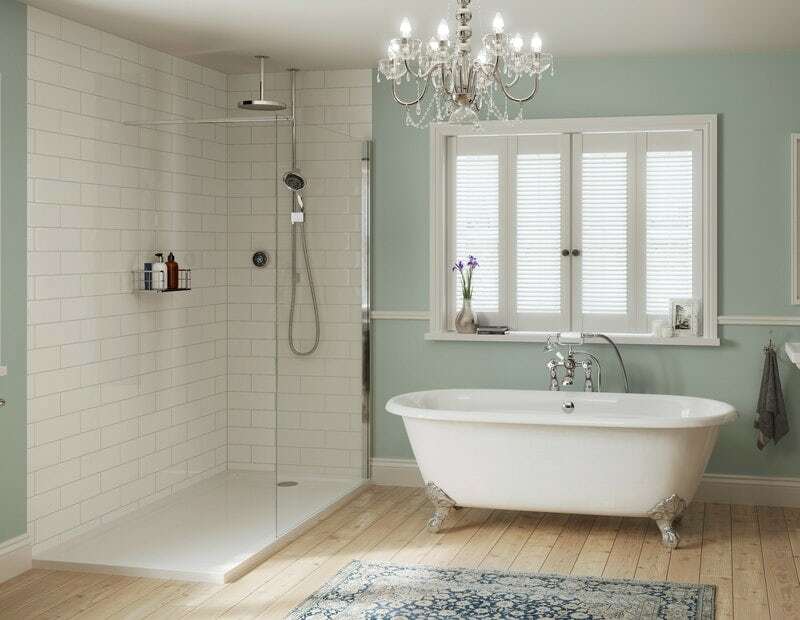 If you’re designing a classic, traditional bathroom then look no further than the Mira Realm ERD mixer shower (pictured below). This stylish mixer has been designed down to the very last detail, taking inspiration from Victorian design. Its simple control for flow and temperature makes showering easy for all of the family, with the added reassurance that it will work on all systems and pressures. For more of a contemporary look and feel for your new bathroom, the Mira Agile ERD mixer shower is the perfect choice. This neat, minimalist shower is a popular choice and, like all Mira mixer showers, will deliver up to 3 times more flow than similar products with the powerful Mira Magni-flo™ technology. Finding the dual outlet shower that suits your budget is just as easy as finding the shower that suits your style. For a more affordable dual outlet, opt for a dual outlet mixer shower such as the Mira Coda Pro ERD. Its premium, chrome finish will make a stylish statement in your bathroom, whilst its thermostatic temperature control makes showering safe for all the family. 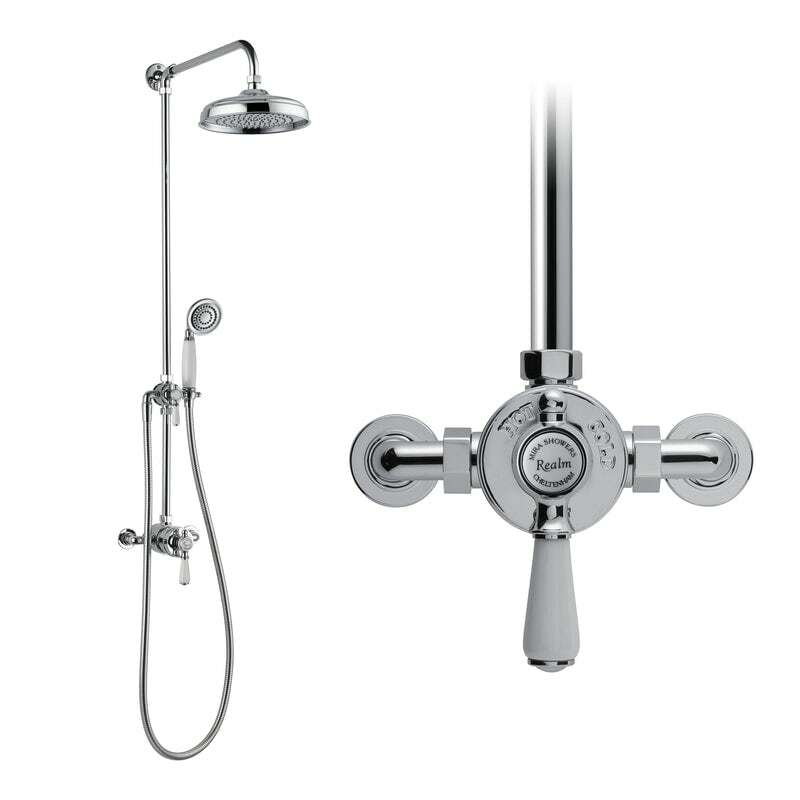 Its easy-to-use controls make it simple to divert between the hand shower and deluge overhead shower. For the ultimate in luxurious showering, digital showers are the perfect blend of safety, style and smart technology. The award-winning Mira Mode dual digital shower has innovative features including the ability to control the shower, its temperature and duration from an app on your smartphone. Plus, its digital temperature control means that you can be assured that your shower’s temperature will remain constant. 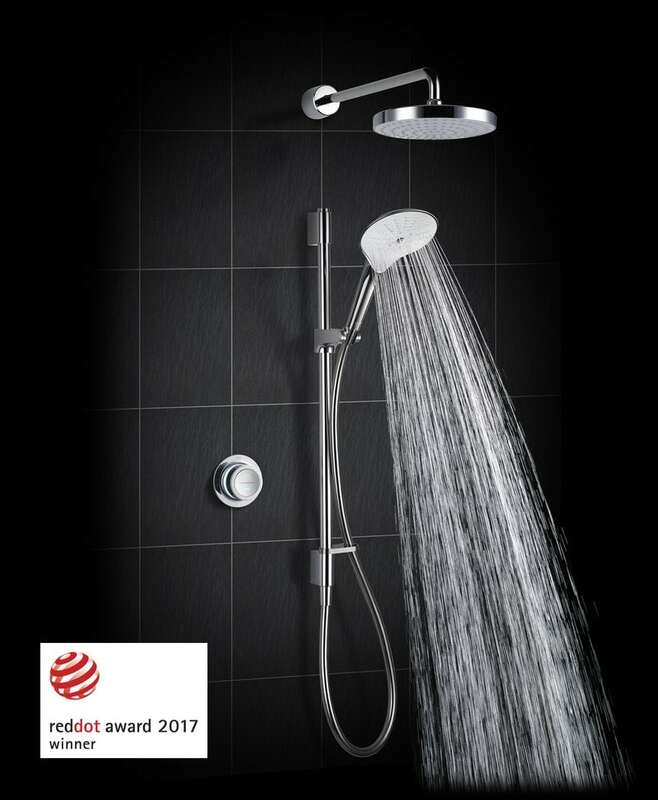 The Mira Mode was awarded the Red Dot design award for its sleek and minimalist look, so will instantly add a touch of class to your new bathroom. Without question, one of the key benefits from a dual outlet shower is being able to have a spa-like showering experience without having to leave your house. Experiencing the saturating drench from the 250mm deluge of the Mira Platinum Dual digital shower is unlike anything else. However, for the ultimate in indulgent showering, with the Mira Platinum dual range, you can have both the deluge and shower head working simultaneously. If you prefer just to use the separate hand shower, the Mira 360 showerhead (which comes with the Mira Platinum range) has 4 unique spray experiences, so you can find the spray to suit your mood. Whilst luxurious showering is a key benefit, the added flexibility that a dual outlet shower brings is a key consideration factor. The added practicality of the separate hand shower is really useful when showering and not wanting to get your hair wet. A simple touch that can make all of the difference depending on your needs. A key benefit—although slightly unglamorous—is the added practicality when cleaning your shower. Having the separate hand shower makes cleaning your bath or shower enclosure a lot quicker and easier. Plus, having the two outlets means that you can use one to clean the other. A simple concept that makes life a lot easier! Better still, when choosing a Mira digital shower, you can choose from ceiling or rear fed showers, depending on your bathroom installation, as well as high pressure or pumped options, depending on your water system. For the full range of Mira dual outlet showers, visit our Mira Showers online store. 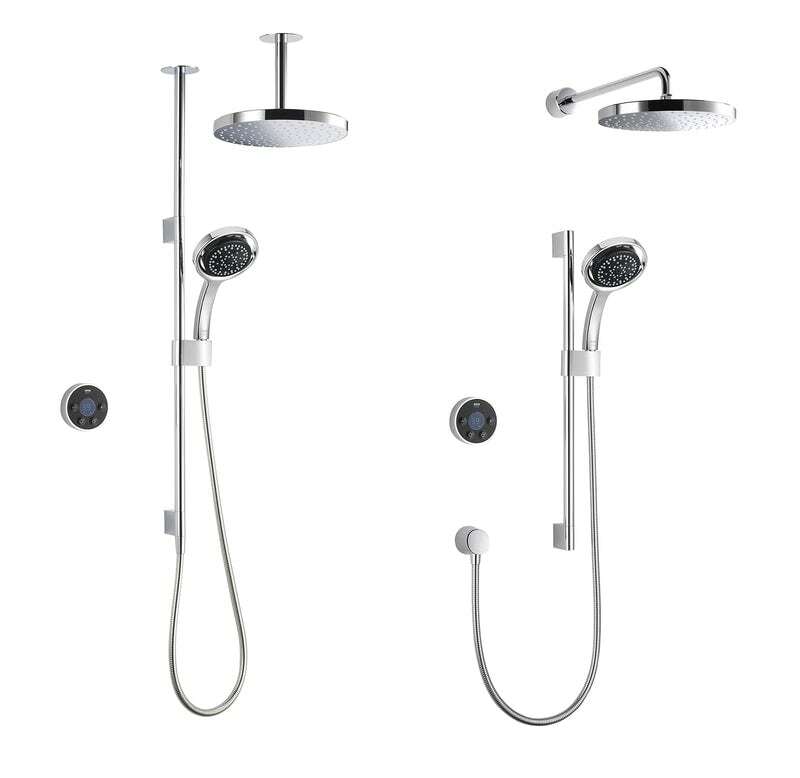 Mira, the most popular shower brand in the UK, is now available at VictoriaPlum.com. Check out the range of Mira showers and Mira shower trays. Thinking of buying a digital shower? We've enlisted the help of digital showers experts Mira Showers to provide this in-depth digital showers buying guide.